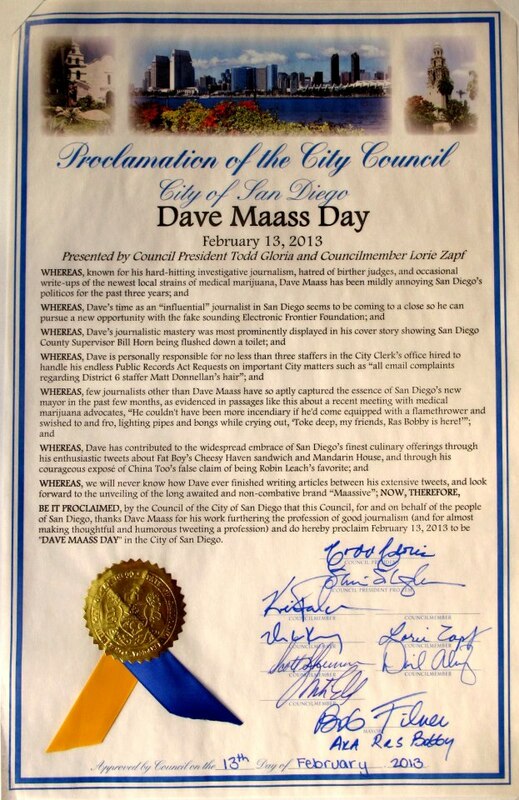 As I was leaving for San Francisco, the City of San Diego officially proclaimed February 13, 2013 as “Dave Maass Day.” It’s a real, sealed document, signed by the sitting City Council and then-mayor Bob Filner (a.k.a. “Ras Bobby“). * Note: Technically, Keegan Kyle of Voice of San Diego got to the bottom of the Robin Leach fact-check after I made a stink about it.